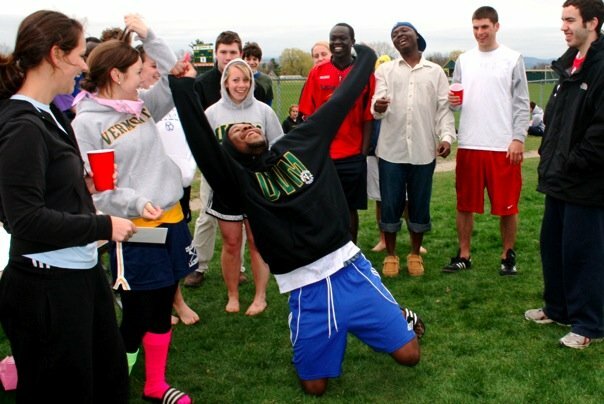 On Sunday, April 26th, the University of Vermont hosted its 4th “Lose the Shoes” barefoot soccer tournament and fundraiser to benefit Futbol para la Vida, an HIV/AIDS prevention education project in the Dominican Republic and a member of the international Grassroot Soccer network. The 3 v. 3 tournament missed the beautiful Vermont spring (a 1-day season) by just one day, but futbolistas braved the cold and the wind to play in four rounds of barefoot games, followed by found rounds of single elimination playoffs. The day included a raffle with prizes from Burlington businesses, music, pizza from Papa John’s, and of course a Grassroot Soccer demonstration. 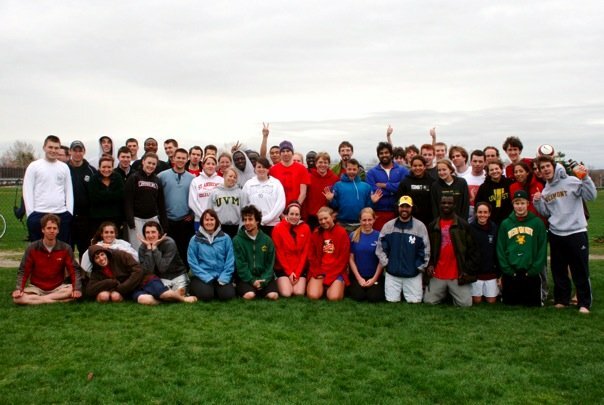 Many thanks to all the UVM students, faculty, and alumni who played (including Achier who came all the way from Boston!). A special thanks to Christina Newman and Devon Byrne who organized the fundraiser. If you’re interested in getting involved with a “Futbol para la Vida” UVM student club and helping to organize our next barefoot tournament in the fall, please get in touch with Christina at cnewman@uvm.edu. Entry filed under: Futbol para la Vida, University of Vermont.